The predecessors of the Lite line of Huawei flagships have sold successfully and for good reasons: a top range design, mid-range but sufficient hardware, and an irresistible price tag that beats the competition. 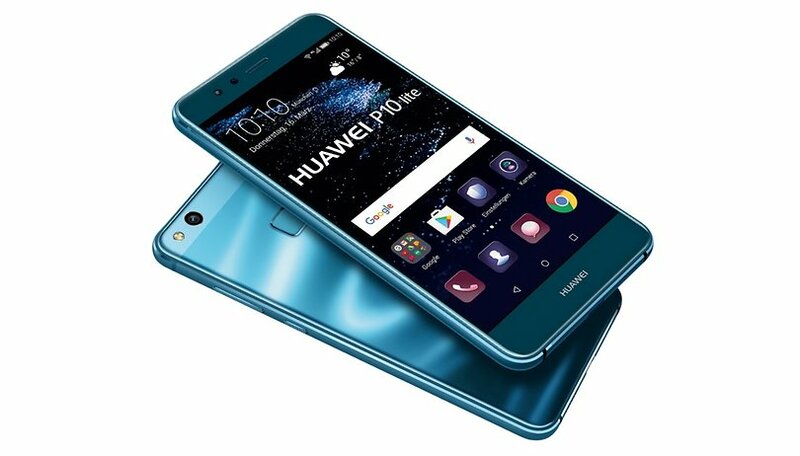 Huawei just quietly made the new Huawei P10 Lite device official via press release. Here are all the details. Huawei has just confirmed to us that this device will not be released into the US market. The P10 Lite will, however, be available in some markets by the end of March for the equivalent of $375. So, you can always try to import the device after it is launched. There will be two versions, one of which will have dual SIM capability. The new Huawei P10 Lite looks a bit different from the P10, but it still retains the air of a high range device. On the P10 Lite, the fingerprint sensor will be on the back, while on the P10 it was moved to the front. The body of the P10 Lite features curved 2.5D glass on both sides, which gives it a premium look. The glass is quite thin at only 7.2 mm. The blue version's glass is 0.1 mm thinner, for a brighter reflective effect. Like the Huawei P8 Lite 2017, the frame is still made of plastic, despite having a nice glass back. The device also has a 5.2-inch display and it comes in four colors: blue, white, gold and black. The 4 GB of RAM and 32 GB of internal memory (expandable by MicroSD) are a nice surprise. Bringing 4 GB of RAM to a mid-range device is a nice touch from Huawei. The device also has 32 GB of internal memory, expandable up to 256 GB with MicroSD. As we mentioned above, the display is 5.2 inches, and it has Full HD resolution at 423 ppi, like the new Moto G5 Plus. The P10 Lite is powered by Huawei's own Kirin 658 processor. It will ship with Android 7.0 Nougat, in the form of EMUI 5.1. Like the P9 Lite, the P10 Lite will have a 3,000 mAh battery. The software will feature a new power-saving mode called Smart Power-Saving 5.0 to make the battery last longer. For faster charging, the P10 will rely on Huawei FastCharge, which will charge the whole battery in 90 minutes, according to the manufacturer. Instead of a dual camera from Leica, the main rear camera has a 12 MP sensor with an f / 2.2 aperture and a pixel size of 1.25 μm. It also features phase detection autofocus. The front selfie cam has 8 MP, plus filters and a new bokeh effect. What do you think about the new Huawei P10 Lite? Will you try to import the device?